HICAPs - We utilise HICAPs electronic claiming, allowing for quick and easy use of your health fund card. This means you do not need to go to your private health provider in order to claim your benefit from your visit. You will need to bring your private health cover card on the day of your appointment to take advantage of this service. We utilise Hicaps direct claiming now supporting 98% of health funds, including Bupa, Medibank, AHM, Teachers Health, Transport Health, Hbf, Australian Unity, Qantas Assure, CBHS, Uni Health, HCF, CBHS, nib, Navy Health, St Lukes Health, Defence Health, Health, GMHBA, Frank, HIF, GUHealth, Health Partners, Queensland Country, Phenix Health, ACA, API, CUA, TUH, Mildura Health, Peoplecare, Healthcare Insurance, One medi fund, RT Health, Latrobe health, Police Health, Doctors healthfund, RBHS, ADF family health, Apia, Budget Direct, Emergency Services Health. Veterans affairs and Dental vouchers - We bulk bill claims for patients who are eligible for help from Veterans Affairs and those who have received a Medicare Teen Dental Plan voucher. 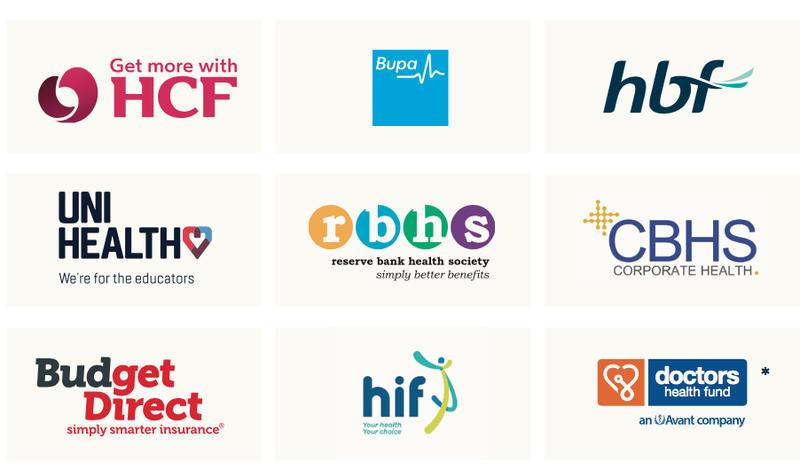 We have flexible payment choices and support for all the major health funds. Partners with ZipMoney Easy Payment plans. Ask about this option during your consulation.